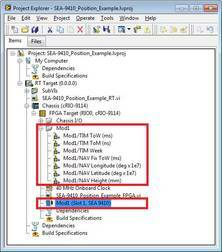 For the operation of the cRIO modules a software driver is needed, which can be downloaded for free. This integrates the cRIO module completely in a LabVIEW project. The Global Satellite-based Navigation System (GNSS - Global Navigation Satellite System) allows a precise determination of the geo-position and the identification of a highly accurate time regardless of the location on the Earth. There are several GNSS, at preset the most important is the Global Positioning System (GPS) developed and operated by the government of the United States. 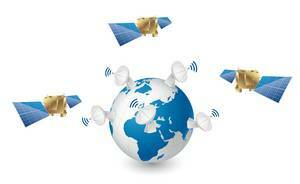 Beside this there are Galileo (Europe), GLONASS (Russia) or Beidou (China), which are partially in a developmental stage. 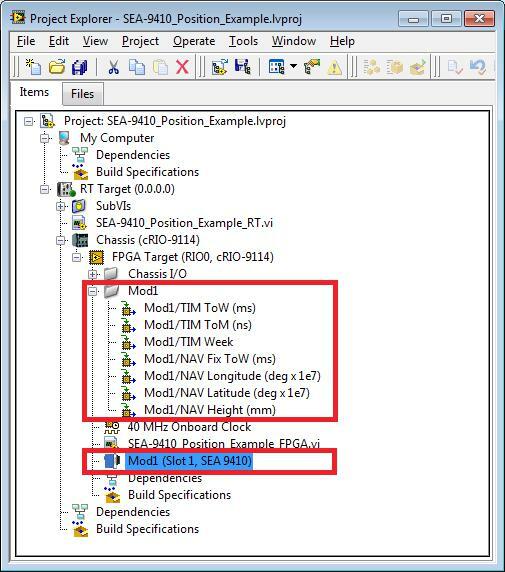 The SEA cRIO modules for geolocation use the Global Positioning System signals (hence the term GPS is used synonymously to GNSS) but generally prepared for other systems. TM[CompactRIO,LabVIEW] is a trademark of National Instruments. Neither [S.E.A. ], nor any software programs or other goods or services offered by [S.E.A. ], are affiliated with, endorsed by, or sponsored by National Instruments.